What you get in different neighborhoods for your millions of dollars will vary widely. Views often play a significant role in SF home values, but particularly in the luxury condo market, where the most expensive units often offer staggering views from very high floors. 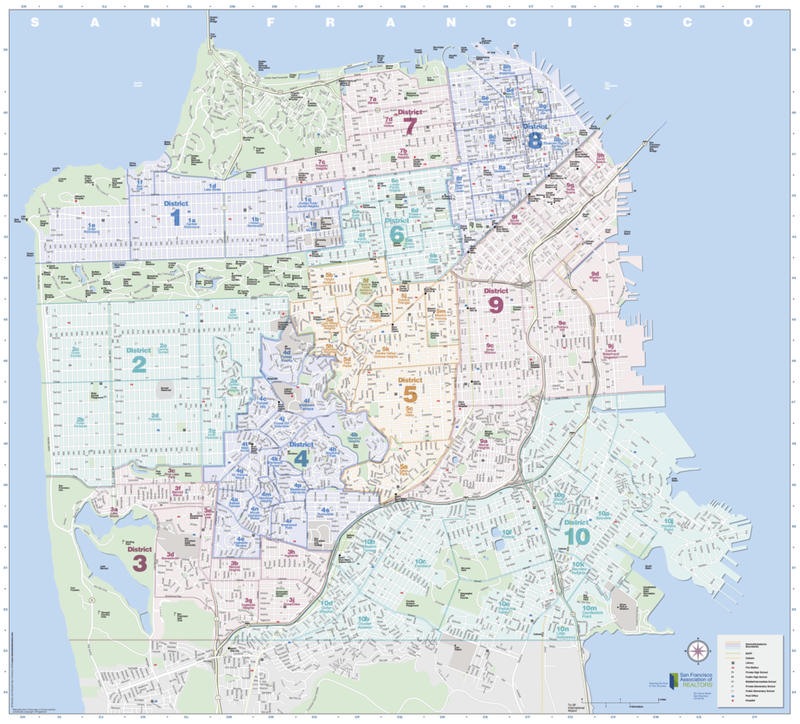 When you get to the $2 to 2.5 million dollars range, the house market becomes dominated by the greater Noe-Eureka-Cole Valleys district, the St. Francis Wood-Forest Hill district, the Potrero Hill-Inner Mission area, and the Inner-Central Richmond and Lake Street area. In this price point for houses, one starts moving into another layer of neighborhoods in the west and the central-south areas of the city: Central Sunset and Parkside, Golden Gate Heights, Miraloma Park, Sunnyside, Mission Terrace, Bernal Heights and others as shown. Where to Buy a Home for Under $1M? The overall median HOUSE price in the city in the 4th quarter of 2015 was $1,250,000, so the under million-dollar house is becoming increasingly less common.